Joe Mucha is a firm believer in giving back. Over the course of his distinguished career in human resources, he has not only mentored and supported countless other HR professionals along their career paths, but he’s embodied the ideal of paying it forward by creating not one, but two, endowed fellowships in support of the MA-HRIR program at the University of Minnesota. After earning a bachelor’s degree in history at St. John’s University, Joe served as a Captain with the U.S. Army and gained valuable experience as a unit commander. He returned to school and earned his MA-IR degree at the University of Minnesota and then began his corporate career at Pfizer. He joined General Mills in 1978, where he held a succession of increasingly responsible positions, and retired as vice president of HR in 2006. We asked Joe to share more about his professional journey and what led to his generous establishment of the Thomas Mahoney and Joseph R. Mucha Fellowships. How did your academic background impact your career? I was blessed to have the right background at a time that companies were beginning to search for candidates who were business oriented and had academic and an experiential background in human resources. The MA-IR program/faculty was oriented to provide graduates with a systematic approach to human resources at a time when all public companies and public organizations were working toward integrating minorities and women into their workforce in a manner that would use their full talent potential to contribute to the company’s success. I believe I was able to gain organizational credibility and get a seat at the management table along with my colleagues in marketing, finance, sales, manufacturing/distribution and R&D because my line management (outcome-based) orientation gained by the experience as a military unit commander, my systematic and integrative approach to add value to the company by proposing innovative solutions to human resource challenges, opportunities and issues as they were being addressed and finally, my background from my St. John’s liberal arts education which oriented me to think about HR solutions to business problems by taking the approach that the solutions had to benefit the total “community” (HR solutions had to fit the criteria of achieving business outcomes that benefited the company, my operational unit and most importantly, the employees of the enterprise). Lastly, I believed that my role as an HR practitioner in an organization was to be a positive “change agent.” I believe that to achieve a competitive advantage with the human resource assets of an organization, an HR executive must anticipate the challenges of the future in addition to solving the challenges or issues that are present today. Faculty and coach mentors helped my understanding that the rate of change in business/world is accelerating and the best executives in the future will continually “re-invent” themselves and their function to maintain a competitive edge for themselves, their employees and their organization. What motivated you to give back to your alma maters and to the HR profession? What can you tell us about the Thomas Mahoney and Joseph R. Mucha Fellowships? [Fellow MA-IR alumnus] Steve Kumagai and I started the Thomas Mahoney Fellowship in 2006 to support full-time graduate students in recognition of Professor Thomas Mahoney, who had a big impact in our lives as an instructor and mentor. The reputation of the MA-HRIR program is dependent on the quality of the faculty in the program and the successful careers of the graduates that they inspire. I hope that this fund continues to grow. The Joseph R. Mucha Fellowship is being established to support full-time graduate students who have the high academic qualifications, but do not have sufficient financial resources to pursue a graduate degree in HRIR. I have requested a preference for military veterans, but the committee that evaluates and authorizes fellowship grants has final jurisdiction. The motivation for this fellowship is very personal….I could not have attended either St. John’s or the University of Minnesota without financial support from others. Without the education degrees that I was awarded, I would not have had the career opportunities that became available to me. While I can’t pay back those directly responsible for helping me, I can model their behavior and help other promising HRIR candidates with the opportunity to advance their careers. What advice do you have for other alumni considering donating? We, as alumni, benefited from the financial support others provided us while having the privilege to be accepted by this world-renowned program. Because of this program and the outstanding faculty, both past and present, many of us have had very successful careers in HR. Financial resources that the University formally had for financial support for qualified MA-HRIR students are less available than in the past and the cost of this education is significantly more expensive than when we attended classes there. Today’s students and their families do not have the same financial resources that we enjoyed, so it is now our turn to step up to support these students and this program. The University and the MA-HRIR program invested in us when we were there and we benefited from this investment by career advancement and successes in the HR field…it’s now our turn to invest in future MA-HRIR students and graduates who will carry on the tradition of HR excellence that this program inspires and provides the HR leaders of tomorrow. When they graduated from the MA-HRIR program in 2006, a group of ten alumnae probably had no idea that 13 years later they’d be in regular contact with each other, across thousands of miles, several time zones, and countless professional experiences! But that’s exactly what’s happened for Laura Blomberg, Allison Cohn, Amy Dayal, Colleen Doherty, Galia Eckstein, Andrea Johnson, Tina Liu, Maureen Losinski, Vickie Maurer, and Sesil Pir. Staying connected with members of their cohort has proven to be beneficial, both professionally and personally. We reached out to the group to hear more about their global learning forum. A screenshot from a recent virtual meeting among ten 2006 MA-HRIR alumnae. Amy Dayal: Ten of us from the class of 2006 meet every other month to share ideas and best practices across the different industries and parts of the world we represent. We get together for an hour and talk about the different challenges we’re facing. It’s really fun and inspiring to learn in that forum and stay connected to dear friends from the program. The alumnae are located across the U.S. and around the world, from Minnesota to California, Ohio to Israel, and Georgia to Switzerland. With the help of technology, they have been able to hold their bi-monthly meetings regardless of their location or time zone. The idea started with Laura Blomberg. Laura Blomberg: I initially brought the group together because I wanted to broaden my perspective and learn from the outside. As I reflected on how best to do this, I realized that I wasn’t even fully leveraging my existing network. I had a group of grad school colleagues/friends who I knew and respected and was confident they would have so much to offer personally and professionally. She connected with her grad school colleagues and the group was formed. Galia Eckstein: I’m thankful for Laura who initiated our group. She was able to track us all down and get us in a rhythm. I learn so much from others’ experiences and have a group of trusted advisors to consult with. How often can you get a group of bright, experienced HR professionals, that are working in different roles, across different industries, different business challenges and organizational maturity, together on one call to brainstorm a topic?! Sesil Pir: I joined initially because I felt honored to be considered and loved the idea of reconnecting with my classmates as much as being a part of an HR community for ongoing learning. I continue because I feel we have formed a “safe and loving” zone for all of us to share, learn and grow together. Tina Liu: I also joined for the opportunity to reconnect with my former classmates, and was excited at the opportunity to share our experiences across different industries, geographies, and HR practice areas. The ability to reach across such a large breadth of knowledge is invaluable to me. Colleen Doherty: I agree with the others – it was the perfect opportunity to leverage a group of my peers that I know and trust and who have gone on to do amazing things since we officially parted ways in 2006. It would be near impossible to build a network this diverse in experience (and global!) on our own. Kudos to Laura for initiating! The group’s meetings have helped them both professionally and personally. Laura: Professionally, I learn something new from every single conversation. I get exposure to different practices, strategies, and ideas, which I’m able to bring back to my own organization. This group has also helped me personally and provided incredible advice and support when I decided to switch organizations after 11+ years. We’ve also helped each other expand our networks beyond this group. When we have specific benchmarking needs or questions outside each other’s areas of expertise, this group has been quick to help make connections to other colleagues in their respective networks. Galia: Laura captured this well! To emphasize my experience per Laura’s comment- [on a recent call] we talked about performance management, where I learned from those in more mature organizations, considering moving away from the traditional approach (which is obviously a trend over the past few years) while my organization (less mature business state) is looking to adapt a more traditional approach. It really helped to have a meaningful conversation with my company’s People Chief Officer. Tina: These meetings have helped me internalize that there is no ‘right way’ to approach HR. The culture, environment, industry, geopolitical climate, leaders, organizational maturity, etc. that we work with all create slightly unique situational challenges and opportunities. Our shared learnings (and failings!) have added to our collective ‘experience’ so we have a deeper well of knowledge to tap into. It’s also great just to keep in touch with people and share their life experiences. Colleen: Professionally, it’s been enlightening, and sometimes comforting, to see we are frequently dealing with similar struggles across our businesses and industries. It’s been helpful to hear strategies that have worked and I often leave the calls reflecting on something we discussed and how it could be applicable for my own role. Personally – it’s amazing to hear about each other’s lives and the group has been so welcoming – even when my schedule hasn’t always allowed regular attendance. Andrea Johnson: When I can join it is always so great to connect with friends who are strong, smart and facing many of the same personal and professional challenges. It often reminds me of eating lunch in the student lounge between classes laughing and talking about life. The topics back then were John Budd’s stats class, internships and relationships. Now it’s promotions, benchmarking best practices and the ups/downs of life. It’s always so great to hear about what amazing things our classmates are up to! Vickie Maurer: I am so thankful for this group and the opportunity to connect regularly. The opportunity to leverage this group as thought partners and to have quick access to some benchmarking is SO helpful! For me personally, when I transitioned into my current role in Talent Management after spending my entire career as an HR Business Partner, I had a strong desire to understand how other companies approached Talent Management to help inform some work we were (are) embarking on at Cardinal Health to revamp our Talent Management philosophy, strategy, etc. Hearing from this group and having the opportunity to connect with colleagues of theirs via referrals and introductions was fantastic! In addition to the professional upsides, it’s also great to hear how everyone has managed through various life changes as well…. marriages, kids, relocations, etc. We have all experienced a lot in the years since we graduated (which I can’t believe is almost 13 years ago!!). They reflect on what they find to be the best part of their meetings. Colleen: I think the best part of the calls is that it’s a judgment free/competitive free zone – everyone is willing to speak up and share their experiences and hope we can all learn from each other. Laura: I look forward to every call. Sometimes the best part is knowing that I’m not alone in whatever challenge or struggle I’m facing. Staying in touch virtually has led to some in-person connections, as well. Galia: Staying connected also leads to some fun times. I was able to meet with Tina while visiting the Bay Area. We even attended a Beyoncé concert together. As working professionals, it can be difficult to find times to stay connected, but the benefits are well worth it. Allison Cohn: It was amazing that this group was able to pick up where we left off in grad school as though no time had passed at all. This is a really busy group of HR leaders; what keeps us prioritizing our time together each time is the knowledge-sharing and collaboration we receive on topics facing our organizations and the support and encouragement we provide to one another. Sesil: I want to formally extend my thanks to Laura who initiated these gatherings and to our group for their dedication and openness. I always refer to our group in conferences, inside HR communities. I think we are a perfect testament to how intent can create virtual communities. I consider my friends a chosen family and I am truly thankful for having this unique space of sharing. And, as a demonstration of how in-sync these ten friends and colleagues have become, one of the group agrees with everything that’s already been shared. Maureen Losinski: I’ve read all the responses and I think the group captured everything I would’ve said. Well done, all! We look forward to Peter Navin, who is chief human resources officer at Grand Rounds, Inc., wrapping up the 40th annual HR Tomorrow conference as keynote speaker. His engaging presentation, titled “The CMO of People: Manage Employees Like Customers with an Immersive Predictable Experience Driving Productivity and Performance,” will explain how shifting to an employee-focused people function will help employees and companies overcome barriers and drive performance. Peter Navin is a proven strategic executive with deep experience in high-growth, rapidly changing global organizations. As CHRO of Grand Rounds, Inc., Peter leads the team focusing on organizational and leadership development; identifying and retaining the company’s top-tier talent; and creating a culture and environment where teams can deliver the best service to members. Most recently, Peter was the CHRO at DocuSign responsible for scaling the human resources, employment branding, internal communications, real estate and workplace services, and philanthropy teams as the company expanded globally. Prior to DocuSign, Peter spent six years at Shutterfly, serving as its SVP of human resources. There, he was instrumental in architecting Shutterfly’s award-winning, high performance culture. He’s held additional executive roles at Electronic Arts, ChemConnect, Brown Brothers Harriman and First Physician Care. Peter holds a bachelor’s degree from The Catholic University of America. Visit the HR Tomorrow website for more information. 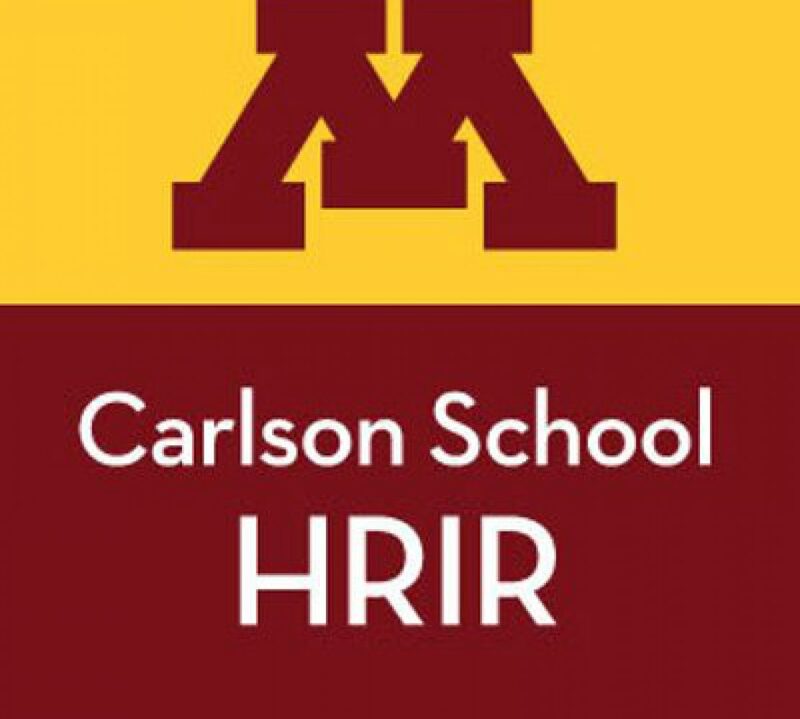 We are so grateful for our new and returning corporate sponsors of the HR Tomorrow conference, some of which include Verisque sponsoring for the first time, Wells Fargo returning for their 12th year, and Carlson School’s Executive Education Program sponsoring for the first time. Thank you for your generous support! We are excited to kick off the 40th annual HR Tomorrow conference with an inspiring presentation by our morning keynote speaker, Laurie Marsh, who is executive vice president and chief human resource officer at Ecolab. Her presentation, titled “The Employment Brand Promise Journey: Inspiring and Developing Talent for Future Impact,” will focus on how Ecolab is putting talent at the center of their aggressive business growth strategy and how that impacts employees and the company. Prior to joining Ecolab in 2011 through a merger with Nalco Holding Co., Marsh was Nalco’s EVP and CHRO. During her 20-year career with Nalco, she held several positions within the company’s human resources function including, employee benefits, workplace planning and staffing, several HR business partner roles and executive compensation. Marsh also was president of the Nalco Foundation, a role she assumed in 2003 and held until 2012 when the Nalco Foundation was merged with Ecolab. Marsh has a bachelor of science degree from the college of Human Ecology at the University of Wisconsin, Madison. In his more than 25-year teaching career at the Carlson School of Management, Professor John Budd has introduced hundreds of students to the principles of labor relations and collective bargaining. In these courses, he says, “it’s common to have a collective bargaining simulation in which students are broken into union and management teams for a scenario in which an existing union contract is expiring, and they need to negotiate a new one.” Unhappy with the available written simulations available at the time, in 1992 Budd created his own simulation based on a fictitious local hotel, delivered to students at first through “a thick, printed packet,” and then, beginning in 1999, through an online simulation which he has been using, sharing, and updating ever since. The simulation, called The Zinnia and Service Workers Local H-56, provides students with a real-life taste of collective bargaining. “Rather than reading a spoon-fed narrative,” he says, “the students need to explore the pretend hotel and union websites to gain an understanding of the environment and piece together their priorities and constraints. In this way,” he continues, ” I hope it’s more active for the students as they have to assess the environment themselves by seeing what’s going on in the websites.” After examining the websites and discussing the information, the two teams meet in person to bargain a new contract. Polaris is sponsoring the HR Tomorrow conference for the third time, returning for their second time as the Luncheon Sponsor. Joe Wollan, Talent Acquisition Manager at Polaris, shares why the company continues to share their support for the conference. Polaris is a Minnesota company and international leader in the power sports industry, focused on growing our business. With an expanding portfolio now including boats, parts and accessories in addition to off-road vehicles, motorcycles and transportation/defense models – Polaris is able to better support the ever-changing consumers to enrich the thrill of their experiences. Founded in 1954 through the first iteration of a snowmobile, Polaris has grown to include: over 13,000 employees, 17 manufacturing locations, 1,800 + Dealers in North America, 1,700 + Dealers outside North America, and supports $6.1B in company sales. Polaris is a returning sponsor of HR Tomorrow. What motivates your company to continue sponsoring this conference? Polaris understands the strong role human resources plays in a company who is in growth mode. At Polaris, our people and customers are at the core of what we do and determine our success. Investment in HR development, alignment with industry changes, and the ability to network with professionals both local and nationwide has proven to be valuable relationships and experiences for Polaris to invest in. How is supporting HR Tomorrow beneficial for Polaris? A number of your employees will be attending the conference this year; what do you think your colleagues will gain from attending? At Polaris, our company is focused on business growth, focused on the people we hire, the products we support and the customers we engage with. Having strong HR fundamentals at our core is a key to our continued success. With the HR Tomorrow event that draws in over 300 professionals each year, this is a great place for Polaris to learn, share and grow with others inside and outside of our industry.